Although the Basque Country has a strong history in chocolate-making, there are today very few artisan chocolatiers of Basque origin, let alone chocolatiers who make their own chocolate, from bean-to-bar. A century ago, nearly every chocolate craftsman would have made chocolate from scratch, sourcing the beans, roasting them, and grinding them into a chocolate mass. It is amazing to think that today, the majority of chocolatiers no longer make their own chocolate but buy it from big international manufacturers who source and transform the beans into chocolate couverture. The quality of the chocolate will vary according to the manufacturer’s blending techniques and the types of cocoa beans chosen. 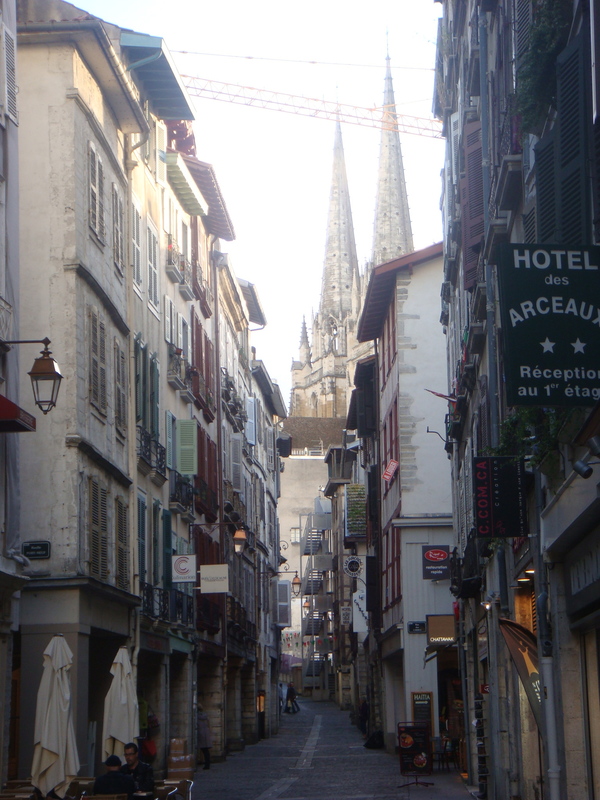 As I walk through Bayonne’s historical centre, I remember reading how in 1870 Bayonne was home to 130 chocolatiers. Today, only three remain. 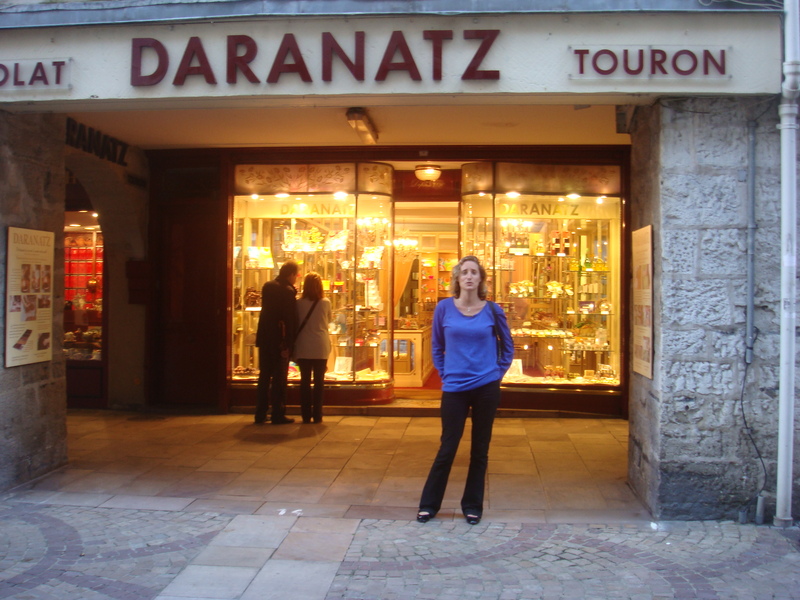 The rue Port Neuf is home to the boutiques of Cazenave, Paries, and Daranatz. Each offers their own special range of chocolate recipes. 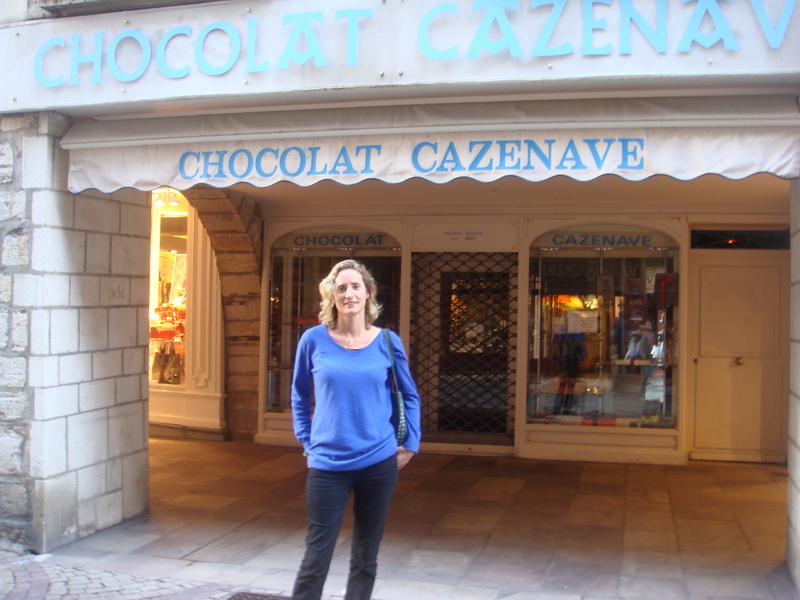 Cazenave, founded in 1854, is one of the oldest surviving Basque chocolate businesses. It is famous for its traditional frothy hot chocolate, “chocolat mousseux”. 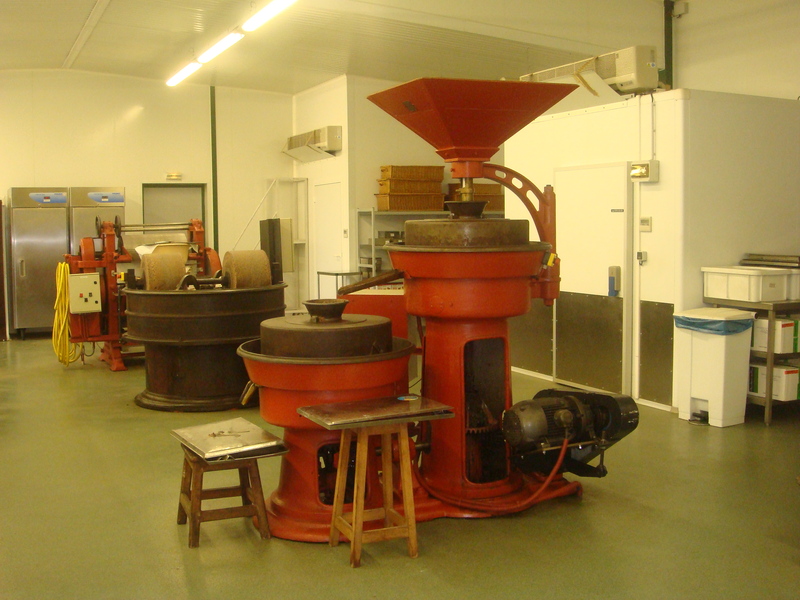 Cazenave still uses the old-style roasting and conching machines to make a limited range of “chocolat à l’ancienne”, sourcing small batches of beans from Venezuela, Costa Rica and Trinidad. 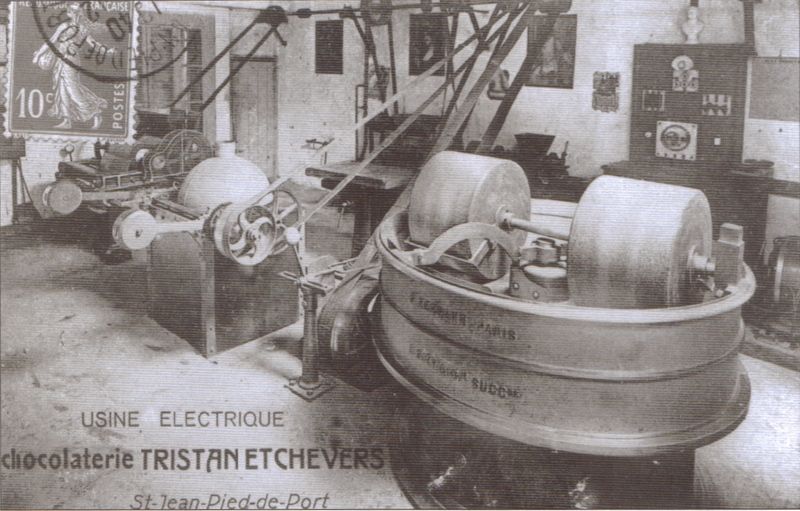 Visiting Cazenave’s chocolate-making workshop, I am fascinated to see one of the earliest French-made conching machines in full action. At Pariès, founded in 1895, you will find chocolates made with Piment d’Espelette, the famous spicy red pepper grown in the area of Espelette. Pariès is also renowned for its macarons, made following a recipe created exclusively for Louis XIV’s wedding in St Jean de Luz. Nearby in the same street is Daranatz Chocolatier, founded in 1890. Their cocoa powder is excellent, and makes a great home-made hot chocolate drink for these long winter evenings. 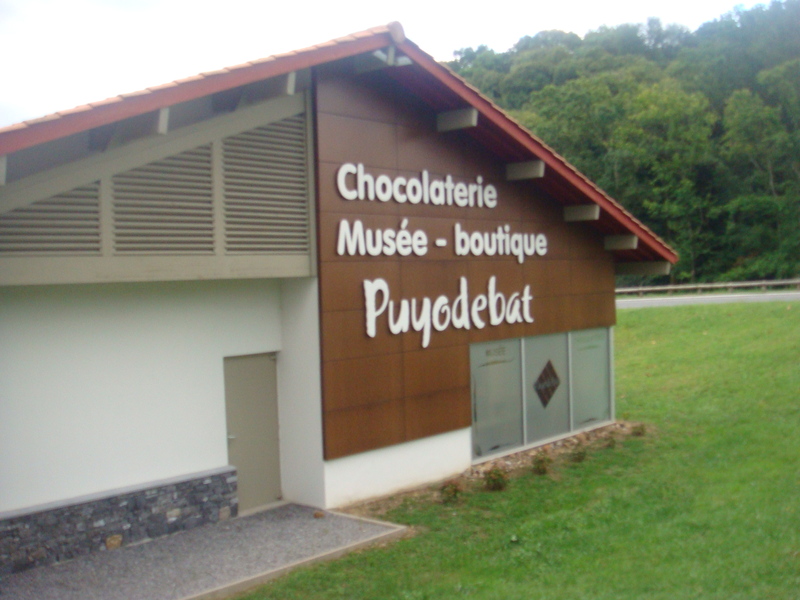 If you have time, visit each of these stores to do your own chocolate tasting, and then visit Christophe Puyodebat’s chocolate museum in Cambo-les-Bains to get a full view of the Basque chocolate heritage! I had read with much interest about your Cocoa bean expierence in South America and now to read about your Chocolate expierence in Bayonne. It`s most surprising to read that only 3 chocolatiers are still around. I`m now retired from my business which was as the exclusive importer & marketing company for Toblerone, Milka, & Suchard which I had succesfully done for over twenty five years in Malta but my love for chocolate still lives on & always dream of setting up Malta`s first Chocolatier using the traditional old machinery to produce a quality chocolate from the cocoa bean to a finished chocolate. Since 130 Chocolatiers existed in Bayonne back in 1870 do you know or have contact if any origional old machinery could be found for sale so as to study the possibility of setting up an authentic Chocolatier in Malta. Your help or suggestions would be much appreciated. Thanks for sharing your expierence and wish you the best. Thank you for your message and glad that you have enjoyed reading my posts! My trip to South America on the cocoa plantations was a fascinating and very eye opening experience. Unfortunately there aren’t any machines left that I know of in the Basque Country. The last local chocolate company to close was Noblia and that was in 2002, I believe that the machines were either sold or thrown away. If I hear of any old machines looking to be get rid of, I will let you know. Great to meet someone who is also passionate about chocolate! Many thanks for your reply and await any news from you in the future. Keep up your intresting passion for chocolate & hope to read more of your very intresting chocolate expierences in the future. Fist of all i want to say thank you for your share. I am Vietnamese, now i want to make chocolate from beans to bar but i do not have expierences about making chocolate so i hope all of you to hepl me how to prepare.